Obstructive sleep apnea is a medical condition that affects one in five adults; one in fifteen adults has moderate to severe Obstructive Sleep Apnea (OSA). It is the most common sleep disorder affecting millions of people in North America – twice as many males as females. When a person with OSA falls asleep, a portion of the air way collapses during deep sleep stages. Although this can occur anywhere along the entire air way from the nasal passages to the hypopharynx, the most common obstruction location is near the soft palate and the tongue. When the obstruction occurs, the person is temporarily not breathing; and over the entire period of sleep, the brain cycles through lighter, less refreshing stages of rest. Many individuals do not realize that they have OSA, and they may not be aware that they wake several times at night. They may even feel rested in the morning; although once they are diagnosed and treated, they feel the true benefits of a good night’s sleep. There are many surgical and non-surgical treatment options for OSA. Many sleep practitioners prescribe non-surgical treatments first because they are non-invasive and have been shown to be effective. There are always exceptions; and if an obvious anomaly is present that is likely to cause nighttime air way obstruction, surgical therapy may be the preferred choice. Surgery for treatment of OSA has varying results. In general, the more invasive surgeries or combining several surgeries together have higher success rates than minimally invasive surgeries. Long-term effects of surgery show that they are not always permanent solutions and relapses sometimes occur. For these reasons most practitioners in the sleep medicine field first recommend non-surgical interventions. The two most effective non-surgical therapies are (1) breathing machines and (2) dental mandibular repositioning devices that reposition the lower jaw to keep the airway from collapsing. A combination of these two therapies may also be effective. There are many types of breathing machines. The two most common are Continuous Positive Air way Pressure, abbreviated CPAP, and Bilevel CPAP, abbreviated BiPAP. These machines consist of a mask that is worn over the mouth, nose or both; and positive air pressure is delivered to keep the airway from collapsing during sleep. CPAP or BiPAP machines are often prescribed as a first line of treatment for sleep apnea. CPAP or BiPAP machines cure approximately 70 percent of individuals, according to many studies. I have used the second type of non-surgical therapy, dental mandibular repositioning devises, in my practice for approximately 5 years and have had tremendous success. These medical devices are covered by most major medical insurance carriers. Different products from various suppliers have different features, options and benefits; so, be sure to discuss these differences with your dental practitioner. OSA is considered a silent killer. Over time, untreated OSA, can increase blood pressure, increase cardiovascular disease and increase the probability of death from stroke or heart attack. It is imperative that it is recognized and treated. Most OSA is reversible with sleep apnea treatment. Dr. Ditty grew up in Northampton, Pennsylvania; attended nearby Muhlenberg College; and transitioned directly into dental school after 3 years. He attended the University of Pennsylvania, School of Dental Medicine, where he completed dental school as well as residency in oral and maxillofacial surgery. 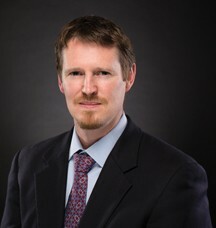 During residency, Dr. Ditty also completed medical school at the University of Pennsylvania – including 2 years of general surgery training, 8 months of intensive care and trauma surgery training, and 4 months as a second-year anesthesia resident.